A while back I ordered this print drying rack. 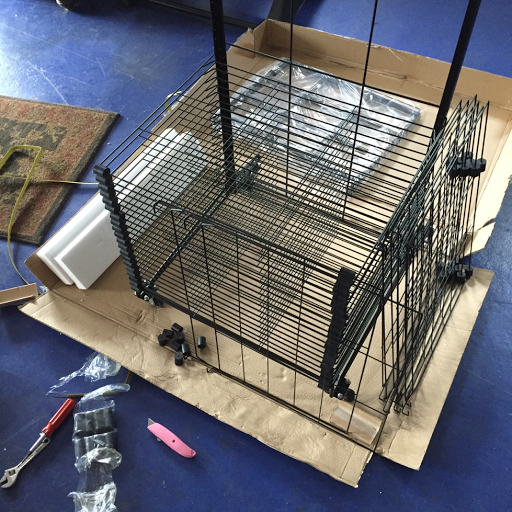 It was quite affordable, but required me to wait a while for delivery and spend a few hours assembling it. It could not have arrived at a better time. Tomorrow I’ll begin printing the edition of lunar calendars. Yes, I *could* have found some way to spread them around the studio and gotten them dry, but it really is much easier, safer for the prints, and more compact to use a tool that’s designed for the purpose. 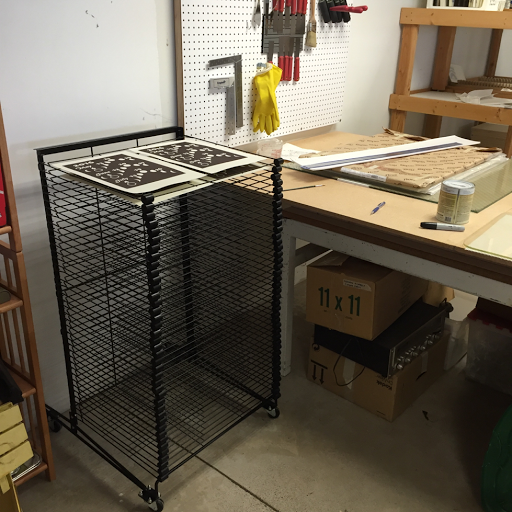 The rack has 40 shelves which can each hold 2 prints at the size I’m using. That means I’ll have room for 80 prints while only pulling 50. I might just leave every third shelf empty to increase airflow and be sure the prints are dry by the time I need to start filling orders, next week. If you haven’t ordered yours, I wouldn’t wait. Over 20% of them are sold and I haven’t even printed or promoted them yet. Just send me an email or leave a comment on this blog post and I’ll set yours aside before I start the sale. I’ll tell more of the story soon, but the upcoming prints are not only a chance for me to prime and test the print studio workflow, they’re also a fundraiser. I’ll be using the money that I raise from this “ground floor” project to pay the transportation expenses to go and study a particular printmaking skill with a specialist teacher in Nebraska.